SHOCKING! 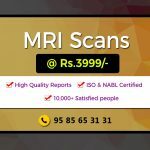 MRI scan cost in Mumbai - Pay Half the Scan price! A Magnetic Resonance Imaging commonly known as MRI Scan is a widely used procedure or test to check many diseases and illness pertaining to a body and decide on the treatment course accordingly. MRI Scans are noninvasive, the scan uses strong magnetic rays to capture and create detailed images of the organ being scanned like brain, spinal cord, bones and joints, heart and blood vessels, breasts and other internal organs. Mumbai, formerly known as Bombay, is the financial, commercial and entertainment capital of India. It lies on the west coast of India and its population is estimated to be 21.3 million (2016 cenus). “Mumbai never Sleeps”, is what you hear from everybody. Being the most happening city in India, it faces the same burden of diseases as any other city of India. Accordingly, there have been great and continuous efforts in improving the healthcare facilities of the city. It is said that Mumbai has the best public – healthcare infrastructure in India. But it is also true that there is a huge shortfall of medical professionals to serve this huge population. According to the recently released report “State of the Health” by Praja, state and municipal hospitals in Mumbai are short of 26% of healthcare workers and nurses, 44% of doctors, 38% of medical lecturers and 25% of paramedical staff. With all this, the healthcare challenges are obvious. What are the recent developments to cater this huge population? Municipal Corporation of Greater Mumbai (MCGM) plays a vital role in building the healthcare infrastructure of the city. They run primary, secondary and tertiary levels end – to – end health posts, dispensaries and post-partum centers. The spread of the healthcare facilities is magnificent. BMC in partnership with the private players runs many clinics, dispensaries and scan centers. Pay Half the MRI Scan price in Mumbai, Shocking! The earlier expensive MRI scan in Mumbai are set to become cheaper. Mumbai has numerous private hospitals. But most of the Mumbai’s population chooses to go to the state-run hospitals because they are affordable. BMC has also been working towards providing affordable healthcare to all the people. Under the PPP (Public Private Partnership) signed between BMC and Private players, MRI scans will be charged at a fair and nominal price. These healthcare labs have acquired new high end scan machines that provide quality services and reports at par with the private and expensive hospitals. 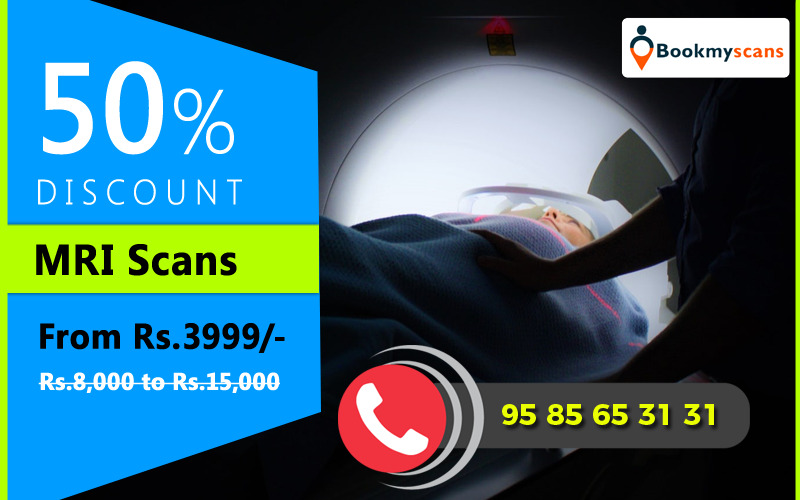 The actual cost of MRI scan in Mumbai’s private hospitals & MRI scan centers ranges between INR 8,000 to INR 20,000. Appointments for the same MRI scans through healthcare providers like BookMyScans will be available up to ten times cheaper starting from INR 3,999. With such slashed prices in the market, it creates a large space of competition to the private players as well, and they too have to meet the ready requirement of the competitive market space. Hence, the cost of MRI scans in Mumbai have abridged and fallen half way down with the initiative from BookMyScans. With healthcare industry under digital transformation, it has become even easier to reach out to the healthcare providers. Online appointments, reports through emails and reduced no shows have not only saved patient’s and doctor’s time but have also given space to cater to more number of patients per day. The number of people meeting their healthcare needs have increased. BookmyScans partners only with AERB (Atomic Energy Regulatory Board) approved and ISO (International Organization for Standardization) and NABL (National Accreditation Board for Testing and Calibration Laboratories) certified MRI scan centers in Mumbai. They not only provide huge discounts on the MRI scan price but also assure high quality services and technical competence. They are spread across 6 regions of Mumbai and help you find the scan center nearest to you. You can book appointments any time, as they are operational 24/7 and the reports are accessible online easily.